Guitar Blog: "How long does it take to learn guitar?" "How long does it take to learn guitar?" While there is no exact answer to this this question the best answer I can offer you is 2 years if you practice 30 minutes a day based on average expectations but there are ways to do it in less time. The term 'deliberate practice' refers to practicing guitar in such a way that your practice is meaningful and more focused. Its very easy to randomly practice different songs or exercises without really having a clear purpose or direction. A good example would be a scale. Your guitar teacher might give a scale to practice but do you really understand why you are practicing the scale? It may even be possible that the scale is a waste of time based on your interests. For example if you want to be a pure blues guitarists practicing a melodic minor scale is probably not the best use of your time. The idea behind G4 Guitar is to halve the time it takes to learn guitar (1 year or less) through efficient practice methods. 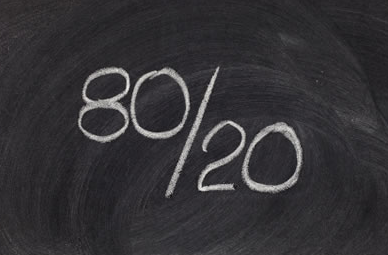 The Pareto principle (often called the 80/20 rule) suggests that 80% of results come from 20% of your efforts. G4 is all about focusing on the 20% that matters the most. The G4 Guitar Method works especially well for young children even as young as 4 years old. So if you or your child have even the slightest interest in guitar I recommend checking out the G4 Guitar Method especially if you are a beginner. How do you teach a young child to play guitar?